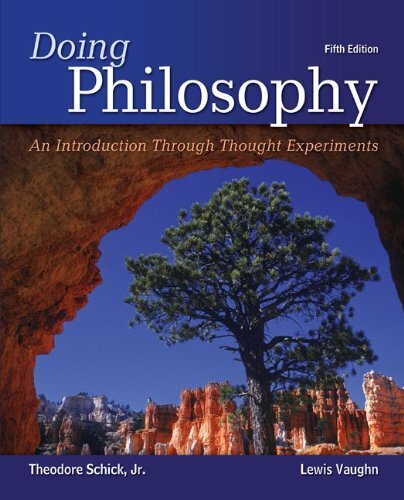 November 24, 2018 lowpricebooks 78038251, Philosophy History & Surveys, Theodore Schick Jr.
78038251 – Doing Philosophy: An Introduction Through Thought Experiments by Theodore Schick Jr.
78038251 -Now in its fifth successful edition, Doing Philosophy helps students understand the nature and purpose of philosophical inquiry by explaining what philosophical problems are, how they can be solved, and why searching for solutions is important. The book traces the historical development of philosophical thinking on a number of central problems and shows how philosophical theories have evolved in response to criticism. By introducing students to philosophical theorizing and encouraging them to formulate their own views, Doing Philosophy inspires active learning and helps students become more accomplished critical thinkers.